Anna and Vic VanDeventer make a good team. Anna, the creative one, comes up with the ideas, while her husband Vic, the skilled one, brings those ideas to life with his hands. Anna’s vision when the couple bought the Baert Baron Mansion in Zeeland, built in 1872, was to one day turn the former funeral home and boarding house on Church Street into a bed and breakfast. The home’s renovation took almost four years, then Anna fell ill, delaying the dream even further. But now, nine years after the couple bought the historic home, their vision is about to become reality. On Tuesday, the Zeeland Board of Zoning Appeals gave the VanDeventers permission to open Zeeland’s first bed and breakfast, and the couple expects to begin accepting guests at the beginning of July. The couple also plans a small restaurant and cafe. “We’ve always had this in our hearts to do, then I got really sick and it took me a long time to recuperate,” Anna said. “It’s been the last year that we’ve really pushed that this is what we were going to do. The VanDeventers said the bed and breakfast will have three guest rooms, including a large suite in a converted attic. Anna said the renovations upstairs were done years ago with a bed and breakfast in mind. The home, built in 1872, also features a large dining room that can seat up to 24 guests. There is a formal dining room and a parlor, all filled with antiques and Victorian style furnishing. The mansion also features a commercial kitchen, where Anna will create the meals for the guests. 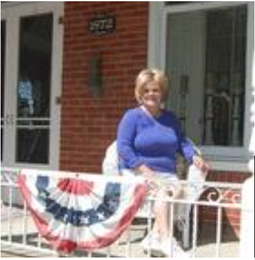 Vic has done virtually all of the home renovation. 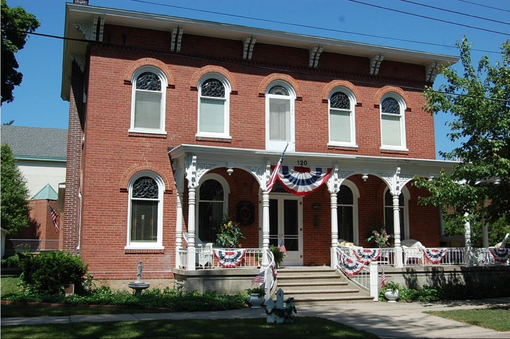 Zeeland Marketing Director Abby deRoo said the bed and breakfast fits perfectly with the city’s new vision plan for downtown. She said there are currently no lodging options in Zeeland. City Manager Tim Klunder said he welcomes the opening, something he said is long overdue. In addition to the bed and breakfast, the VanDeventers plan to open a reservation-only fine dining restaurant and a small cafe that will be open during the day for lunches. Both the restaurants will be open later in the summer or early fall, following inspections from the city and the county health department. Vic VanDeventer, who manages two television stations for the TCT Television Network, is looking forward to the challenge of running a bed and breakfast with his wife.